Chris leads American Rivers’ Conservation Program, a team of over 40 professionals dedicated to conserving the nation’s rivers and the natural, economic, and cultural resources they provide. 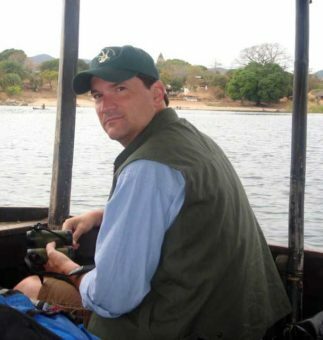 Prior to joining American Rivers in February 2012, Chris directed the Freshwater Conservation Program at World Wildlife Fund (WWF), where he developed and implemented river conservation projects in the US, Latin America, Africa, and Asia. He pioneered the concept of ecoregional conservation as Director of WWF’s Chihuahuan Desert Program from 1997-2003, and was the organization’s lead counsel on federal wildlife policy in the early 90s, focusing primarily on strengthening and improving implementation of the Endangered Species Act (ESA). Chris began his career as an ESA lobbyist at the National Wildlife Federation. Chris is an expert on freshwater ecosystem conservation, water resources management, wildlife conservation policy, and has extensive experience in engaging non-traditional partners, particularly corporate actors, in ambitious conservation programs.